For an exterior, concrete patio: order 4000 PSI mix with fibers (fiber mesh) and a slump of 4 or 5. PSI stands for "per square inch". This means the concrete strength is able to hold 4000 pounds per square inch. Fiber mesh is a concrete reinforcement additive the supplier can place in the mix to make it stronger. You must request this and it will cost more. If you're not placing a concrete reinforcement in your patio such as rebar or wire mesh, fiber mesh is essential. Use fiber mesh anytime you want to add additional durability to your concrete project. Slump refers to the consistency of the concrete. The higher the number of slump, the looser the concrete is. The looser the concrete is, the easier it is to work with. Ideally, you want a lower slump, because you want to reduce as much water in the concrete as possible. But, because this is a do-it-yourself project, we recommend a slump of 4 or 5 to make it easier for you to do. You can always order a slump of 4, and when the concrete arrives, if it's too stiff to work with, have the concrete truck driver add water to the mix. You'll pay more for concrete with a higher slump because the concrete supplier needs to add water reducers to the mix. The amount you order depends upon your patio measurements and the thickness of your patio. Ask your ready-mix supplier how much you will need depending upon your patio measurements or use this calculator. Garages, sidewalks, driveways, floating slabs, pole barns, aprons, sport courts, pool decks and any concrete project that is outdoors should have a PSI strength of 4000 or greater because these projects may have to endure vehicles on them and weather conditions. Indoor concrete projects such as basement floors or other household concrete flooring do not need a PSI strength over 4000. 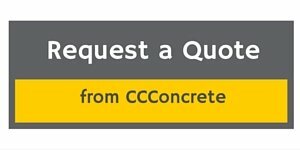 Search local yellow pages under "Concrete or Ready-mix Supplier," or "Paving Contractors and Materials" for a concrete supplier near you. The next step in pouring your own concrete patio: pour the concrete. Want a bid on your concrete project? If so, and you live in the Minneapolis and surrounding suburbs area, request a quote on your project here.